Prof. Mervyn King, a distinguished Bar-at-Law, visiting Professor at Rhodes, Supreme Court Judge& LLD has chaired/ been a director of several companies listed on the JSE. He is internationally famous as the Chairman of the King Committee on Corporate Governance. Besides, he is President of the Advertising Standards Authority, first Vice-President of the Institute of Directors, South Africa, and a member of the Securities Regulation Panel, which oversees all mergers and acquisitions. He is Chairman of Partnership for Transparency Africa, a celebritythroughoutthe Continent. He is a member of the ICC International Court of Arbitration in Paris for nine years & Chairman, international Integrated Reporting Council, London. He is associated with several prestigious organisations - Commonwealth Association of Corporate Governance, the World Bankandthe United Nations. He started hisCSR mission even before the concept was born. In 1981,he became Chairman of Operation Hunger, to feed rural ch i Id ren, for eight yea rs. After wh ich, he has become Honora ry Life President. In 1992, he drafted the Corporate Governance Guidelines, known as the King Committee. Its report was regarded as being ahead of its time in adopting an integrated approach to the business life of companies, embracing stakeholders & shareholders. The Committee subsequently drafted the Insider Trading Act. 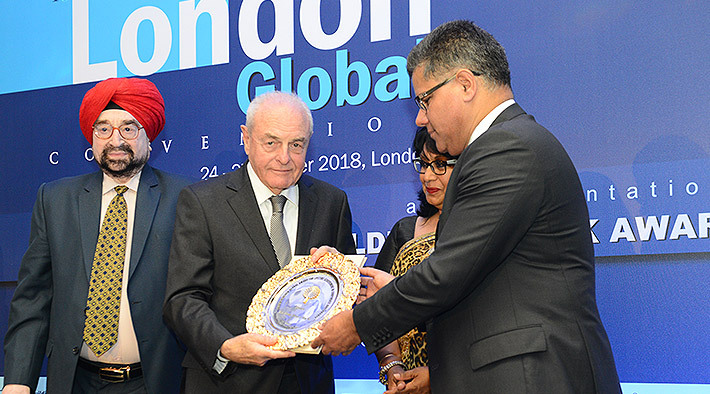 He is the President of the Commonwealth Association of Corporate Governance, mandated to establish paradigms for corporate governance in the Commonwealth. After the Enron and World Com debacles, he was quoted in the US Congress and his views adopted by the New York Stock Exchange, incorporated into the Sarbanes-Oxley Act. He was appointed Chairman of the United Nations Committee on Governance and Oversight, which produced a Governance Code for the United Nations. Prof. King has spoken on legal and corporate governance issues in 60 countries. He has authored five books on Governance; his book, The Auditor. Quo Vadis is a best-seller.